Do you (or someone you know) have a little one ready to start Playschool next year? 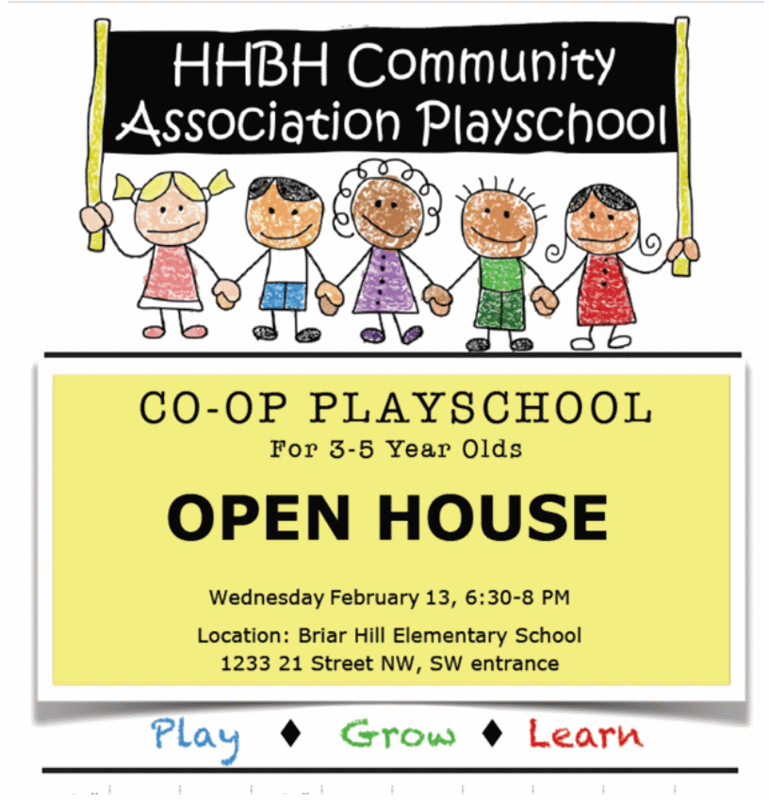 We are having an open house February 13th from 6:30-8:00pm! Learn more at hhbhcaplayschool.com/news/openhouse. Our program is play-based meaning we offer plenty of time for children to develop through a combination of free-play and structured activities (circle time, art, crafts, stories, etc.) Our program also includes plenty of program enrichment including monthly music and gym time and special guests throughout the year!